The days are getting longer, the breezes are getting warmer, and Austin is gearing up for a springtime slew of can’t-miss events. We’ve done the dirty work and rounded up this season’s happenings that are sure to create the most buzz, so all you have to do is show up. Here’s our comprehensive guide to food, fun, and staying cool in Austin this spring. 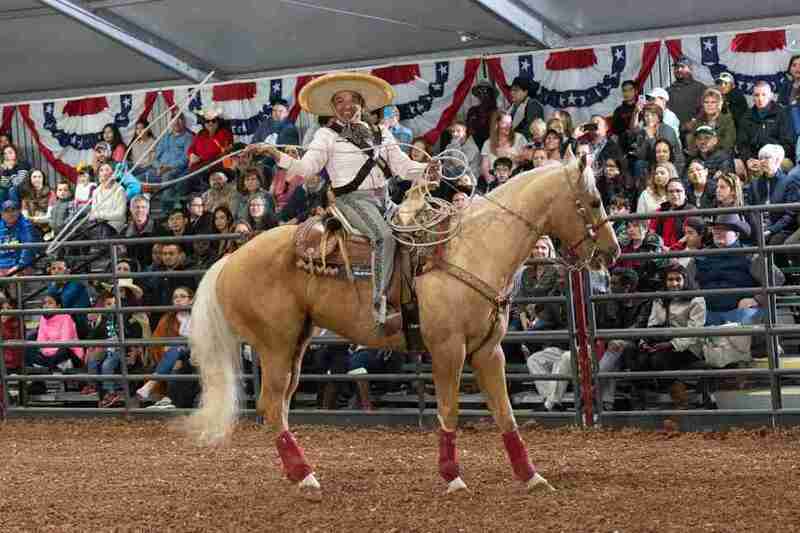 Check out ProRodeo events (everyone loves mutton bustin’! ), peep the stock show, and stuff yourself silly with carnival treats. The rodeo concert series features some fan favorites, including Aaron Watson, Randy Rogers Band, Dustin Lynch and Martina McBride. Austin is home to one of four annual World Golf Championships. The WGC-Dell Technologies Match Play was founded in 1999 and made itself a home at the Austin Country Club in 2016. Past champions include Tiger Woods and Rory McIlroy. 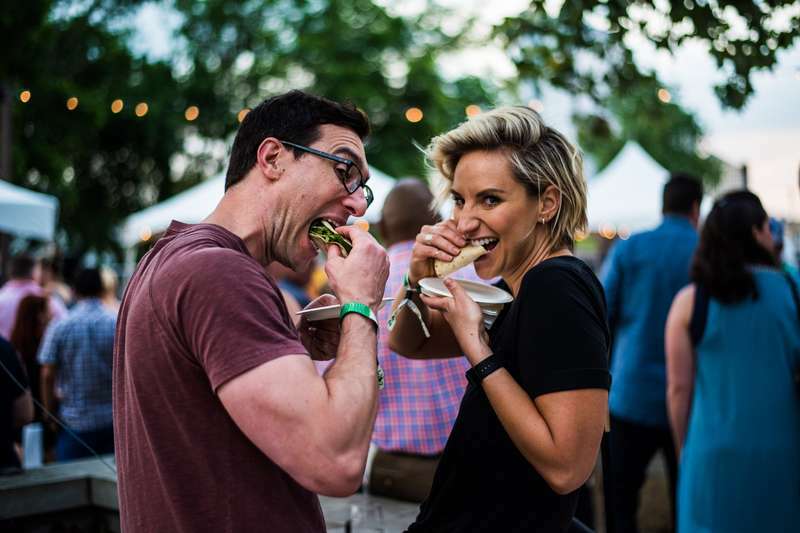 Hosted by the National Taco Society (yeah, that’s a thing), you’ll find top taco professionals dishing up their best bites and competing for the regional prize -- the winner goes on to compete in Las Vegas. Also included: bands, bars, lucha libre Mexican wrestlers and a chihuahua beauty pageant (yeah, that’s also a thing). Hopscotch Light & Sound is a unique and totally Instagrammable exhibit featuring 13 different installations of -- you guessed it -- light and sound, housed in a 10,000 square foot warehouse. Proceeds from your ticket purchase benefit the HOPE campaign’s brand new outdoor gallery. 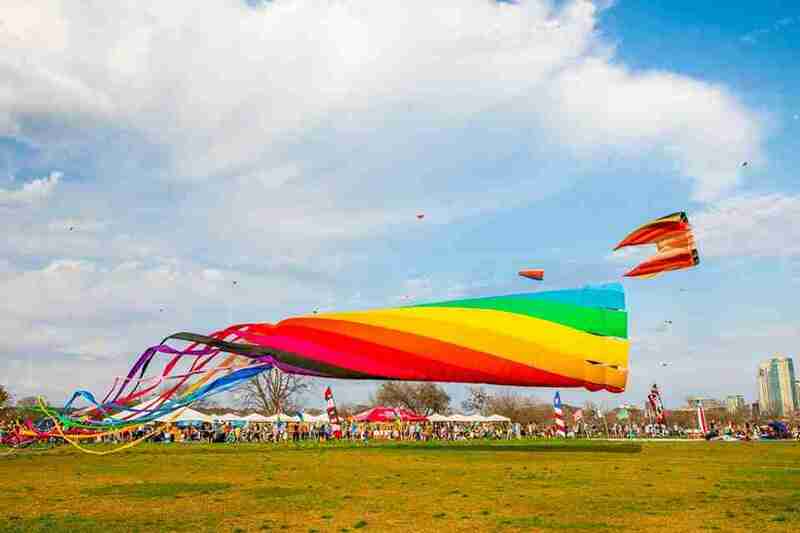 Fact: Austin is home to the longest running kite festival in the country. Since 1929 the ABC Kite Festival has been fun for the whole family: kite making, kite flying and kite spectating, whatever your pleasure. Everybody’s favorite childhood book is taking the stage right here in Austin. If the thought of a live-action scene of Brucie versus the chocolate cake doesn’t motivate you to buy a ticket, I don’t know what will. 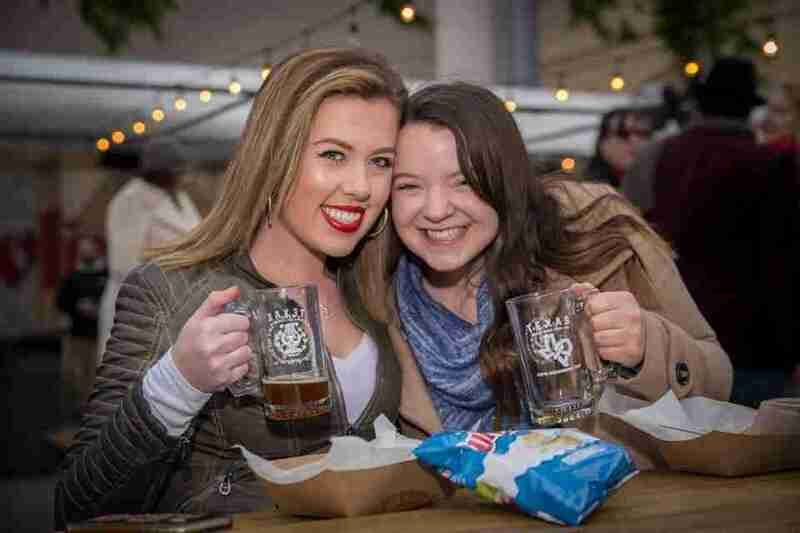 Local breweries will flaunt their tastiest German-style beer and pair it with pretzel -- or as they say in Germany, y’all come get your bier & brezels! Tickets include specialty glassware, pretzel tastings and drink tickets. Bonus bowling and live music, too. Art City is an art market featuring more than 80 individual artists and their unique creations -- an homage to the creativity of the city. A general admission ticket grants you access to guided gallery tours and more. And fear not, the park will be chock full of food trucks and local libations to energize you as you peruse! This two-hour cruise on Lady Bird Lake comes complete with food and booze, a DJ, photo booth, and a prize for best dressed (check out the website for themes). All in all, it’s just about the perfect #sundayfunday. Fusebox is a performing arts festival focused on live-action performance -- expect music, dance, talks and much more. It’s a non-profit, striving to bring unique perspectives to the civic issues of contemporary life. 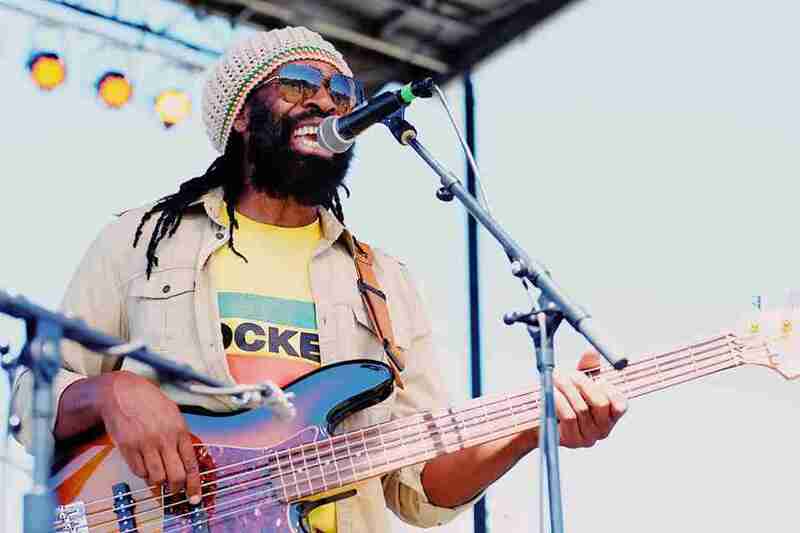 This festival is all about coming together as a community -- last year, Reggae Fest raised over $100,000 for the Central Texas Food Bank. Headliners at the 2019 edition include Freddie McGregor, Mykal Rose and Cocoa Tea; wristbands and single day tickets are available. Join Joann’s Fine Foods at iconic Austin Motel for a leisurely swim under the full moon. The bar will be serving and tunes will be crankin’ from sundown to pool close. If you’re really into keeping Austin weird, then the eight to ten homes on this self-driving tour will pique your interest. Owners of the wackiest dwellings within city limits will open their doors and share their eclectic stories. 10% of ticket proceeds support the fight for affordable housing through Lifeworks Austin. Bringing you big names like Nick Offerman, David Spade and Jenny Slate, the MoonTower Comedy Festival is back. Badges are available for purchase to keep you laughing all weekend long, or you can buy single tickets to catch your favorite headliners. Venues include the Paramount, Stateside, The Cap City Comedy Club, the North Door. 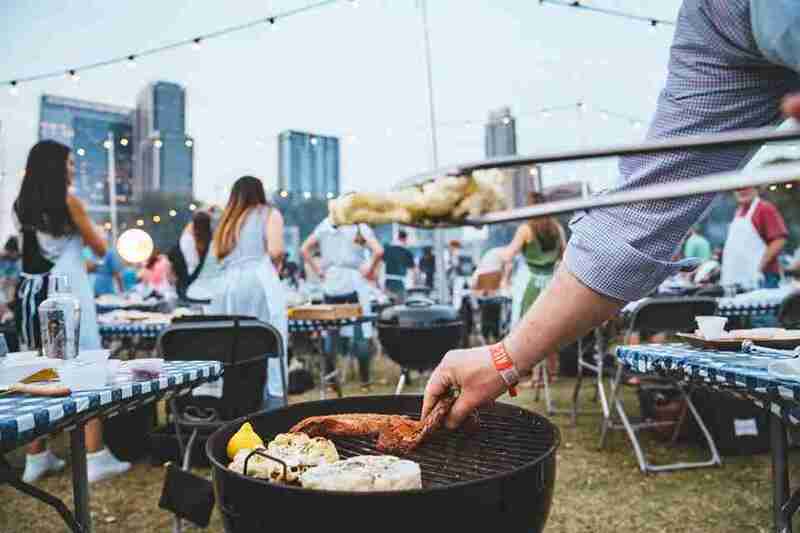 Auditorium Shores will transform into every foodie’s dreamscape as acclaimed Texan chefs and restaurateurs gather to dazzle you with their signature dishes at the Austin Food + Wine Festival. Local brews and craft cocktails pair well with live music and dancing, and don’t miss the gourmet taco contest. If you’re new to the city, you don’t want to miss the 56th annual edition of this rite of passage. Beer, food, bizarre costumes and awe-inspiring acrobats gather with Austin’s most eccentric citizens to pay tribute to A. A. Milne’s gloomiest character. Proceeds benefit various local non-profit groups. The 22nd Annual Cine Las Americas International Film Festival takes place in Austin this spring and will feature films at two main venues. The festival includes feature-length and short films, animation, and a smattering of music videos -- all of which are straight out of Latin America and the Iberian Peninsula. Local artisans, over thirty food vendors and live music on three stages mean this festival has something for everyone. Unless you don’t like food or music… which would be weird. This is a uniquely Austin event that has been going strong for over three decades. Calling all wannabe triathletes! The Rookie Tri is an entry-level triathlon, composed of a 300-meter swim, 11.2-mile bike ride and a 2-mile run. The finish line soiree with food and bevvies should be the incentive any sportsman needs to keep going. 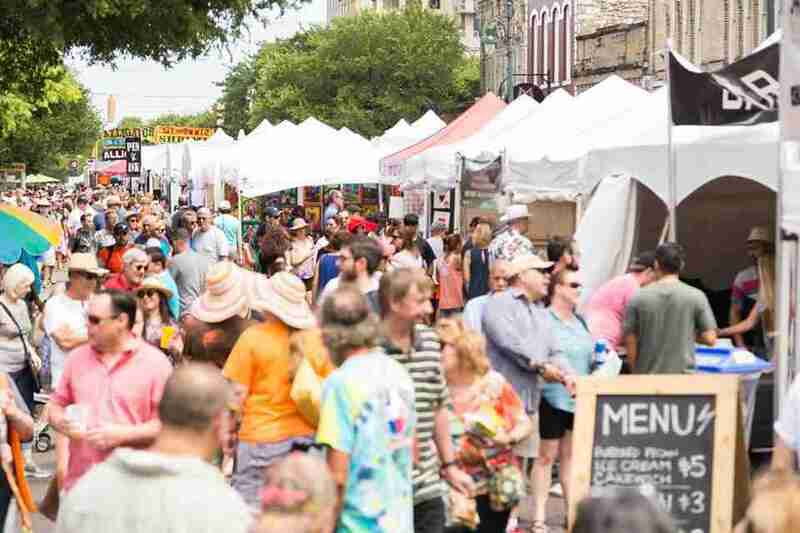 Colloquially referred to as WEST, these weekends are put on by Big Medium (a non-profit art champion), and they want you to know this isn’t your average street fair. Big Medium’s goal is to let the public connect with artists through self-guided studio and gallery tours and temporary exhibits throughout the city. Starting April 23, maps will be available at Austin Public Libraries -- then it’s up to you to explore. 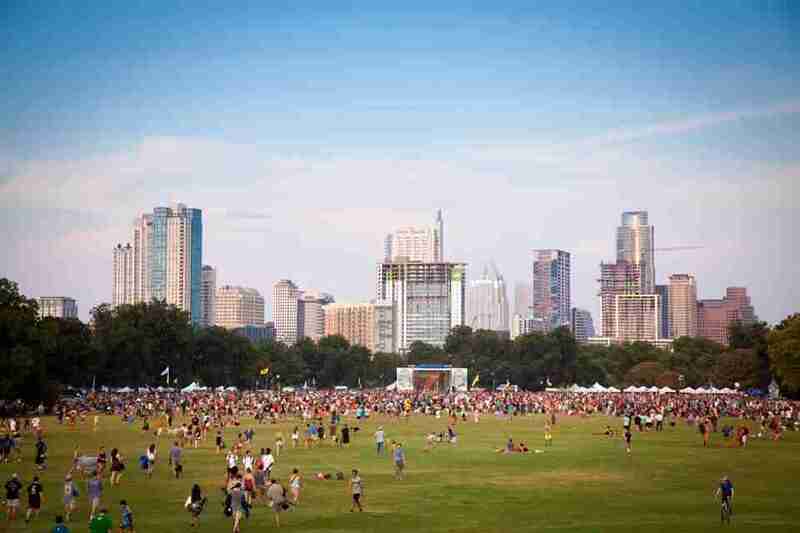 Pack a picnic for Blues on the Green, Austin’s largest free concert series, featuring local bands and talent on the outdoor stage in Zilker Park. It’s pet- and kid-friendly, and just about the perfect date night -- if you can’t make this one, look out for other events throughout the summer. The Hot Luck Festival is a weekend long celebration of food and music hosted at various venues throughout the city. The culmination of the weekend is an event called “Al Fuego”: a flame-packed fete of open-air cooking. Cost: Al Fuego tickets are $215; other event tickets from $15. Every Thursday from 5-7pm, you can sip your favorite Italian wines and chat with the connoisseurs who know it best at this. A happy hour menu featuring half-price apps, pasta and pizza also available. Haley Celeste is a Thrillist contributor.